Technetics, a globally trusted source for engineered components, seals, assemblies and sub-systems for demanding environments, has announced its newly released Seal Selector tool. 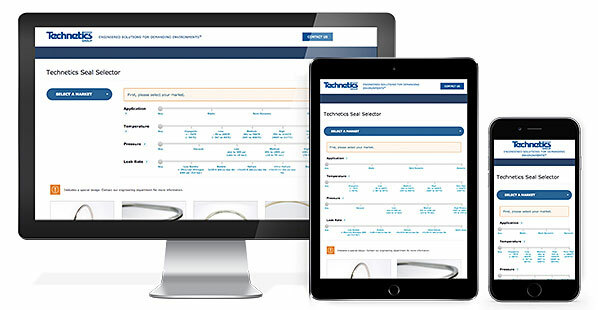 The proprietary online tool quickly and easily determines the right custom-engineered sealing solution(s) based on the world’s most demanding environments. Technetics provides custom-engineered sealing solutions that have proven themselves time and again in the world’s most extreme environments. From abradable materials that increase airflow in turbines to inflatable seals that protect process materials and operators in the life sciences, every sealing solution Technetics offers is engineered for safety, performance and durability. The Seal Selector results will help guide the user toward the right seal for their application. Each recommended seal links to detailed product information and also includes a direct link to contact Technetics with specific questions or comments.